Imagars LLC is a lean company with strong technological management structure. 1. B. Steingrimsson, T. Ray, R. Jones, and E. Smith, Automatic Design Assessment and Smart Analysis, Provisional Patent Application No. 62/818,841, filed on March 15, 2019. 2. B. Steingrimsson, X. Fan, R. Jones, K. Yi, and P.K. Liaw, Machine Learning to Accelerate Alloy Design, Provisional Patent Application No. 62/801,280, filed on Feb. 5, 2019. 3. B. Steingrimsson, R. Jones, M. Kisialiou, and K. Yi, Decisions with Big Data, Utility Patent Application No. 16,182,389, filed on Nov. 6, 2018. 4. B. Steingrimsson, Digital Ecosystem for Engineering Design, Utility Patent Application No. 15/613,183, filed on June 3, 2017. 5. B. Steingrimsson, All-Electronic Ecosystems for Design and Collaboration, US Patent No. 9,923,949, granted on March 20, 2018. 6. B. Steingrimsson, Recognition and Representation of Image Sketches, Utility Patent Application No. 13/865,549, filed on April 18, 2013. 7. K. Aubrey, K. Govindarajan, B. Brudevold, B. Steingrimsson, C. Anderson, Hybrid Traffic System and Associated Method, Utility Patent, US Patent No. 8,849,554 B2, granted on Sept. 30, 2014. 8. K. Aubrey, K. Govindarajan, B. Brudevold, B. Steingrimsson, C. Anderson, Hybrid Traffic Sensor System and Associated Method, International Patent Application No. I294-500-1, filed on Nov. 15, 2011. • Dr. Steingrimsson has been a member of the IEEE for the past 19 years, actively participating in sections operating at the University of Iceland, in the Twin Cities of Minnesota, in Albuquerque New Mexico, and in Portland Oregon. • Dr. Steingrimsson is currently a Senior Member of the IEEE. • Dr. Steingrimsson has also participated in the Project Management Institute (PMI) and is a Certified Project Management Professional (PMP). Imagars benefits from the services of software developers, an accountant and a number of professional advisors. 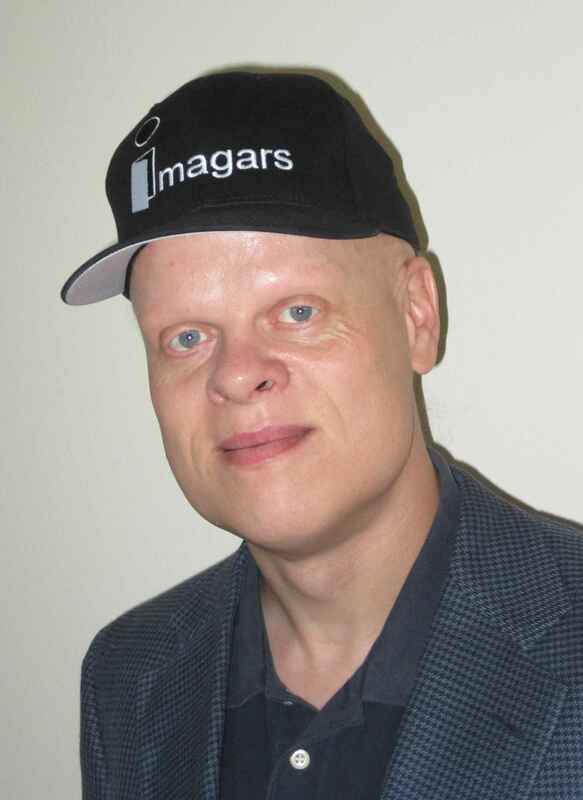 You can reach us at info@imagars.com.